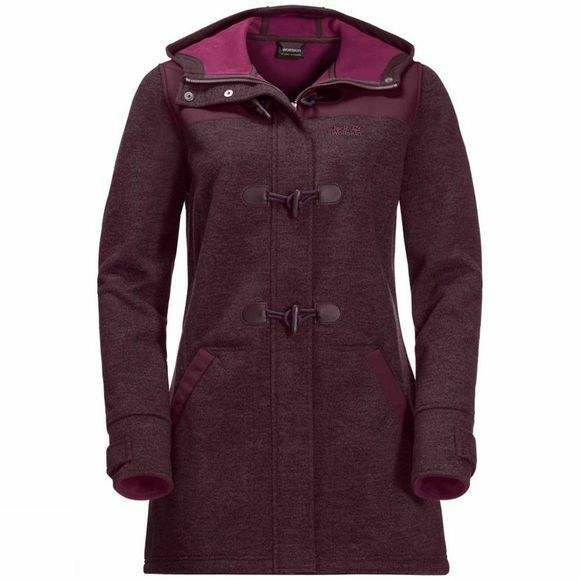 The Womens Edomonton Coat from Jack Wolfskin will keep you warm In Windy autumn weather. The Coat is tailored from Windproof, Wool-look Stormlock Fleece. The shoulders are reInforced with robust, water resistant fabric. As a nod to the traditional duffel Coat style, the Edomonton features the classic toggle fasteners. Just bury your hands Inside the big, warm pockets and enjoy that Windy weather!